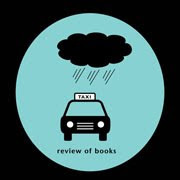 Chad Post and Open Letter released the longlist for the Best Translated Book Awards. Since many are from the Eastern European and Russian regions, as well as the Mediterranean, I thought readers could post which ones you've read or purchased, as well as thoughts. Anyone? My personal vote is for Kornel Esti or Stone Upon Stone. Be a blog follower and leave a comment to this posting. Leave email address for contact within your comment. winner selected by random generator. just put your link in comment box too to get an extra entry. 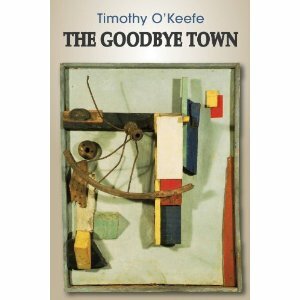 If we need color, as Timothy O’Keefe writes above, he certainly delivers it in this collection of poetry that plots the geography of the anonymous landscape in The Goodbye Town. Nearly every poem uses colors to describe a place that feels familiar yet retains a sense of mystery. The use of color in poetry is pretty much standard, but I’ve not read a poet that has used so many variations of color to reflect regret, shyness, and even the “trembly green” of social isolation. Giving red maple, red maple. The shapes are not bereaved of weight. The town is not besieged. This same sense of conflicted memory exists in “The Outlying Counties and Then Some,” where in 27 lines he traces the change from childhood innocence and abundance, where “everyone had a mother then, a working train set” to impending adulthood, wondering “why this quaking in the trees, the winter sidewalks so quick to melt”. It’s with acceptance rather than melancholy that he describes a place that is ultimately “a forgiven landscape, the landscape itself a reflection of the grace that gathered elsewhere.” His gaze isn’t focused on blind nostalgia, but on reality; one that may lack the Crayola memories of youth but instead gains texture and shadow. The most intriguing part of his book is the unknown identity of A.F. Little, a character that appears in various poems that only hint at who he is or how he relates to the intangible location of the Goodbye Town. Born of violence, he thinks in the color brown and acts childlike, although we can sense advanced age. The bird-like man appears in shadowy poems that depict the sea and warfare, a past in Alban. Is it the fields of Italy or France that have marked him? Even from his ominous birth, the presence of grief accompanies him. "The idea of “place” has been considerably devalued in American culture, to the point at which it functions more as a metaphor than a reality. Few people see themselves as part of a particular landscape…rather, we see ourselves as inhabiting very transportable “places”—look-alike Starbucks, cars, ranch houses, condos, Costcos, concerts, conversations. ”Place” is more of an idea…. “Place” in literature tends to be dismissed as ‘regionalism’ or ‘local color’." "...the return from war was surely worse than the leaving." This is the book I completed for the Australian Literature Month, hosted by Kim at Reading Matters. See her details and overview here. It's the story of Quinn Walker, who leaves home suddenly and under suspicion when his sister is murdered. He joins Australia's efforts in WWI, travels the world, and returns with a dangerous desire to go back to the small town that would love to string him up for the crime. Injured in the War, he suffers from the loss of a portion of his face, injuries from the mustard gas, and all the symptoms of Post Traumatic Stress Disorder. At points early on, it's easy to question whether he is recounting events correctly, or if he's hallucinating, and these ratchets up the tension since either way, it affects his actions. The small town of Flint has suffered during wartime as well, as the Spanish Flu has killed many, and this scarred stranger (as he disguises himself) is not welcomed. 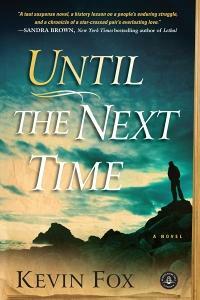 Hiding in the hills, he eventually meets a young girl who, significantly, is the age that his sister was when died. She's been orphaned by the flu, and is essentially a feral animal that refuses the very protection it most needs. They make an unlikely and bickering duo, and the details she knows of his sister's murder are disturbing. As he struggles with reality, his injuries, and the impending death of his mother, he's also trying to figure out a way to clear his name, aided only by this little girl who seems to encourage violence with a sinister air. Or is she? Or is he imagining it? Is he tormented by guilt? What he saw in the War? Where does his reality begin, and the hallucinations end? This is one book I stayed with an entire long afternoon, and was completely (enjoyably) immersed in the tension and the scenery. Womersley writes descriptively but without sounding like he's rattling off a list of details....the descriptions somehow mingle into the narrative. A bit of clumsy foreshadowing early on led me to guess the plot fairly easily, but the author still threw in some unexpected twists and complications. The characters of Quinn and Sadie are complicated and compelling; the other main characters a bit more stereotypical (one a generic bad guy). The beauty of it is in the prose: concrete, detailed, yet fast-paced. There's suspense in every interaction between Quinn and Sadie, which is really hard to pull off. Realistically, guessing the plot was irrelevant--the creation of unique characters is where the author's gift is clear. Womersley has a previous book, The Low Road, that I will look for next. He reminds me a tiny bit of Tim Winton in the apparent knowledge of the Australian landscape and its feature, but their voices are completely different. I wouldn't be surprised if this novel was someday made into a film...it has all the elements that would make a suspenseful and visually beautiful film. Special thanks to Nicci Praca of Quercus Books, UK, for the Review Copy.